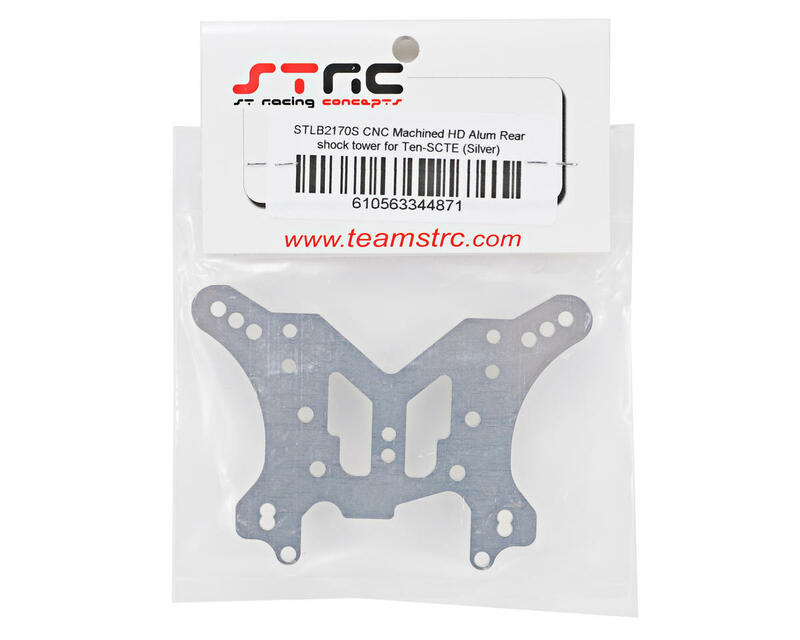 This is an optional ST Racing Concepts CNC Machined HD Aluminum Rear Shock Tower, and is intended for use with the Losi TEN-SCTE. 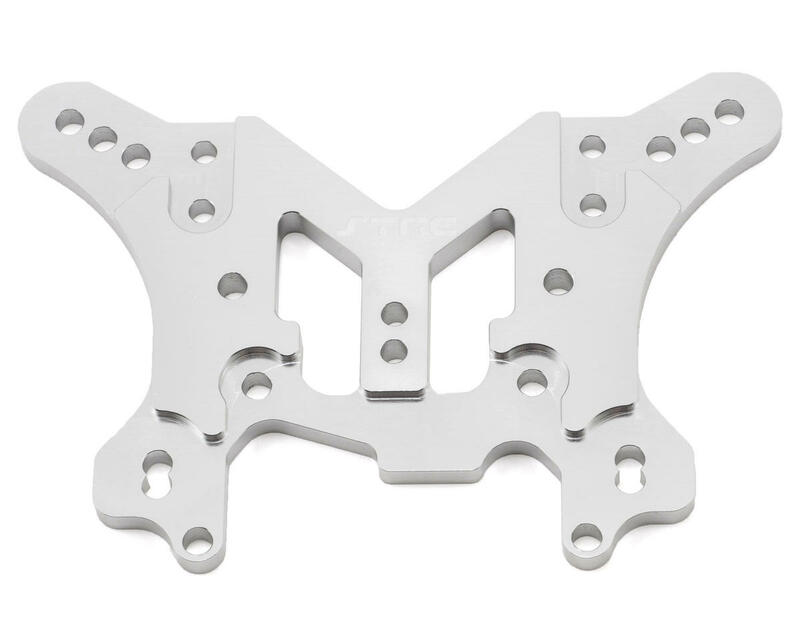 Greatly reduce the flex and prevent bending of the stock tower on your Losi 4x4 with this CNC Machined Aluminum HD Rear Shock Tower. This shock tower will not only add great looks to your Losi 4x4, but it will eliminate the flex in your shock tower, keeping your truck’s suspension operating true to its design, while at the same time greatly increasing the durability of the rear end.